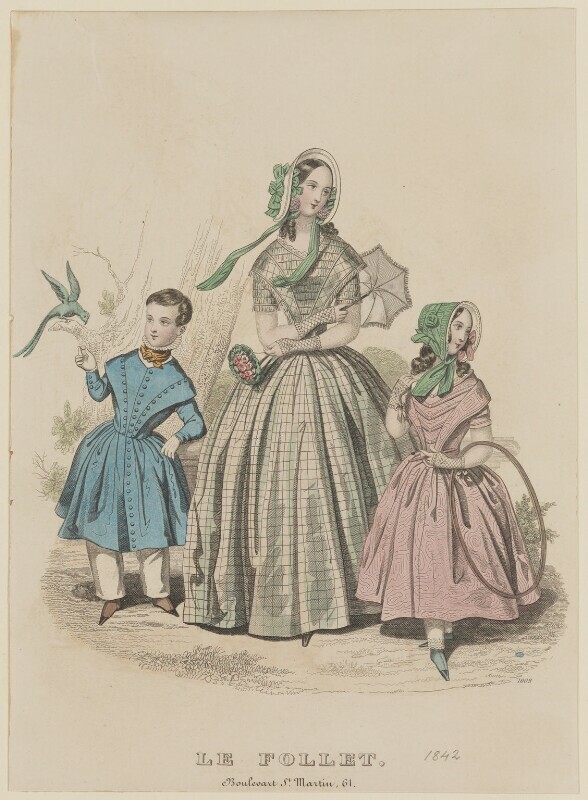 The Court Magazine and Monthly Critic and Lady's Magazine and Museum (1837-1847), Magazine. Artist associated with 103 portraits. Dobbs & Co (active circa 1826-1840), Publishers. Artist associated with 94 portraits. Le Follet, Courrier des Salons, Journal des Modes (1829-1892), French magazine. Artist associated with 89 portraits. Edwin Chadwick publishes his damning report, Sanitary Conditions of the Labouring Poor, which details the shocking living conditions of the urban poor and prompts government to take a new interest in public health issues. A year-long depression and the rejection of the Chartist petition leads to riots, with workers striking in the Midlands, Lancashire, Yorkshire, and parts of Scotland. Mudie's Lending Library opens, becoming one of the largest circulating libraries in the period. Made popular by the otherwise high cost of books, it exerts a great influence over literature; both by maintaining the more costly 'three decker' novel structure, and acting as moral censor. Richard Owen, the English biologist, comparative anatomist and palaeontologist, coins the term 'dinosaur', combining the Greek words for 'formidable' and 'reptile'. Treaty of Nanjing, which allows China to trade with Britain and lends Hong Kong to the British crown for 150 years. In Afghanistan, the Anglo-Afghan war ends as the British abandon Kabul, withdrawing to India and losing most of their garrison force in the operation with only one member, Dr William Brydon, surviving.